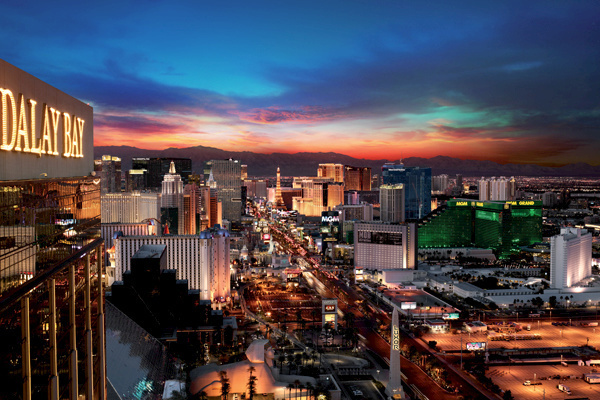 Las Vegas has long been known as a place where grown-ups flock to play — the city offers world-class entertainment, high-end shopping and unique people-watching. But over the years, Las Vegas has also emerged as a premier foodie destination, boasting some of the best restaurants in the United States. The famed Las Vegas buffets still thrive, and in most cases, buffet selections have evolved considerably. Luxury hotels like The Bellagio and Wynn Las Vegas have luxury buffets that defy expectations, but the glitzy Las Vegas Strip is also home to countless table service restaurants to satisfy every taste and budget. Paris Las Vegas, for example, is home to some outstanding French restaurants, including the street level Mon Ami Gabi, perfect for those seeking plates of escargots or beef bourguignon to indulge in under the shadow of the faux Eiffel Tower. For a completely different view, diners can go to the iconic Stratosphere tower to visit the revolving Top of the World restaurant for some classic surf ‘n’ turf. There’s a lot more to dining in Las Vegas beyond the Strip, and locals swear by Lotus of Siam, an owner-operated Thai restaurant tucked away in the Commercial Center District. Regarded by some as the best Thai restaurant in America, the huge menu offers every kind of authentic Thai dish imaginable. Other Mama is another off-strip gem. The modern seafood restaurant serves oysters, sushi, and ceviche alongside a wide selection of killer cocktails. For a bit of old Las Vegas glamour, steak lovers favour Vic & Anthony’s in the Golden Nugget on Fremont Street where you’ll find perfectly cooked sirloin. And, since it’s just plain wrong to make a trip to Nevada without going out for Mexican, visitors should stop at La Comida for some tacos and margaritas. Vickie Wilson, who was born and raised in Las Vegas and runs Vegas Valley Food Tours, says that downtown Las Vegas is the perfect place for visitors to explore if they’re looking for off-strip food discoveries. The downtown area has undergone significant urban improvements over the years, spearheaded by both the city and leaders within the community. Wilson has seen an exciting rise in downtown restaurant culture. She points to newer restaurants run by progressive chefs like Natalie Young (who owns a popular place called Eat) as well as old standbys that recall Las Vegas’s rich and dazzling history. From the independent eateries downtown to the restaurants helmed by celebrity chefs on the Strip, there’s more than enough to eat in Las Vegas. Locals frequent restaurants on the Strip, off the Strip and everywhere in between. If visitors want the best and most authentic experience possible, they’d be wise to follow suit.